Wow! What a fast paced, suspenseful, great read novel! I loved it! This is the first book in the Blue Justice series and it focuses on Izzy St. John, one of six siblings, all in public service. Izzy is a police officer and, when her partner and friend Kevin is killed, and with gang activity in the city rising, she must find the killer – and who’s behind him quickly before other lives are lost. Drugs, break ins, chases, shootings, fires, and yes, romance – I loved all the different twists and turns in this mystery. It just doesn’t stop! (I think after the intense, adrenaline pumping, action filled week Izzy had I’d definitely need a laid-back vacation!) I can’t wait to read the next book in the series! I received a copy of this book from the publisher. I am freely writing a review – all thoughts and opinions are my own. 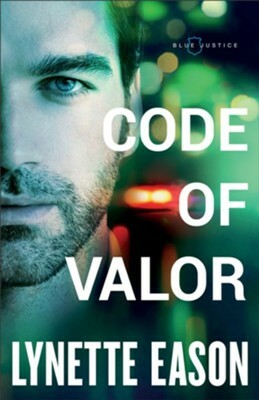 The Author: Award-winning, best-selling author, Lynette Eason writes for Harlequin’s Love Inspired Suspense line and for Revell, a division of Baker Publishing Group. Her books have hit the CBA and ECPA bestseller lists and have won numerous awards such as the prestigious Carol Award, the Selah, the Daphne, the IRCC award and more. Lynette is married, has two children, and lives in Greenville, SC.